Whenever I hear a dream about a celebrity I start to wonder what archetypical feature best defines this pop or fim star. Usually a pop star is a clear coat rack to “hang” the symbols of an archetype on. What is an archetype? Carl Jung himself defined them in this way: archetypes are part of human inheritance. They are extraordinarily stable and enduring structures that form the fundamental organization of the psyche, that arise anew in every human incarnation, and that are akin to the instincts. We all know archetypes: The Magician, the Wise Man, the Fool, the Empiror, the Goddess. Bob Marley… The King of Rasta. Bob Marley is an archetype. The King, the Empiror takes care of order, of rules, of laws. The Empiror brings order in chaos. 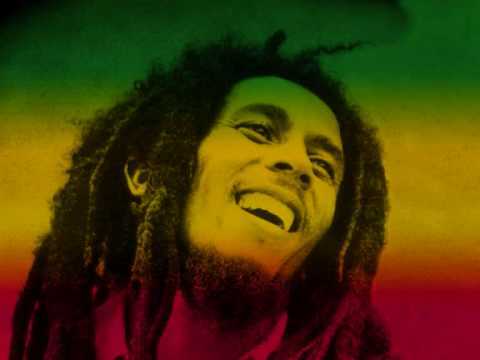 In the ’60s Bob converted to Rastafari. He grew dreadlocks, because of the rules: “All the days of the vow of his separation there shall no razor come upon his head: until the days be fulfilled, in the which he separateth himself unto the Lord, he shall be holy, and shall let the locks of the hair of his head grow”. (Numbers 6: 5 KJV). The heavenly mandate in China acknowledged an Empiror when he was able to bring heaven and earth together. If in this dream the husband symbolizes the heaven, and the dark lady symbolizes mother Earth, the the stage is set up for the sacred marriage. Marriages are blessed by God. Bob Marley oneself said once, in an interview: well God come black. True true (Davis, Steven, Bob Marley: the biography (1983) p. 115). This might be the song that the husband and the girlfriend started kissing on. The dream does not specify it, and when I asked the dreamer about it, she could not tell which song it was. But the message from Get Up Stand Up is that one should look for god on earth, search for your inner spark. If you are interested in archetypes and want to buy it, please use the link on the page. Mindfunda will get a little kickback fee.